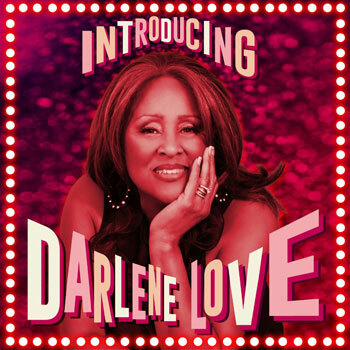 A longtime passion project for the great Darlene Love and producer Steve Van Zandt, Introducing Darlene Love features two new songs written by Bruce Springsteen: "Night Closing In" and "Just Another Lonely Mile." Van Zandt, who contributed three of his own songs, arranged as well as produced the album, going for that classic "Wall of Sound" that suits Love's voice so well. Enlisting songwriters for her return to Marquee-pop music making, Steve told them, "I want big. I want horns and strings. Her voice wants that." In addition to himself and Springsteen, Stevie tapped Elvis Costello, Jimmy Webb, Linda Perry, Desmond Child, Joan Jett, and legendary songwriting team Barry Mann and Cynthia Weil. Stevie signed Ms. Love to his Wicked Cool label and is releasing this album in partnership with Columbia. He says, "Darlene's legendary status is well deserved but I felt the time was long overdue to show a younger generation WHY she has earned that reputation. Partnering with Columbia Records is a dream come true because now I know the world will hear her."